Before Huntington an internationally acclaimed scholar of Islam and Middle East Bernard Lewis mentioned the idea of clash of civilization within the context of Middle Eastern conflict in 1957 in a paper he presented to a Conference at Johns Hopkins University  and later in his book ‘’ The Middle East and the West ‘’ published in 1964. On the other hand, Professor Lewis put into perspective, on the light of historical experiences, the existence of a clash of civilizations between Christian and Moslem Worlds in his article entitled ‘’ The Roots of Muslim rage, Why so many Muslims deeply resent the West, and why their bitterness will not easily be mollified ?’’. The article was published in the Atlantic Monthly in the September 1990 issue. Even well before Bernard Lewis and Samuel P.Huntington, prominent British historian Arnold J.Toynbee referred to a clash of civilizations within the context of the Turkish-Greek War of 1919-1922 in his book ‘’The Western Question in Greece and Turkey, A Study in contact of Civilisations’’ published in 1922. He underlined, on this subject, that ‘’ The fundamental truth was that a number of Near Eastern Christians and Middle Eastern Moslems were bearing the brunt of one particular clash in a vital interaction between civilisations’’. At this point, I believe, the concept of civilization needs to be clarified. What is noteworthy in this definition is the fact that Tylor sees no distinction between civilization and culture. We will come back to this point at a later stage, since at the present time this is the widely accepted view. It means that civilization and culture is the same concept. They are used synonymously. The civilization is a large concept. It comprises everything created by a society. It can be roughly characterized as civilization all material and intangible things and values created from the very early times by the humanity. We observe that material elements of the civilization had the purpose to ensure the survival and a better life for human beings in an effort to dominate the nature. In realizing this, there is no denying that various techniques, science and technology have played a predominant role. Airplanes, ships, automobiles, telephones buildings, ports, airports, railways and highways linking one country to another, bridges over big rivers and maritime areas, agriculture, industrial complexes, all these are developed thanks to science and technology. Technology of arms and weaponry used by armies also were developed throughout history depending of the level of advancement of a civilization. Undoubtedly, there is also an intangible aspect of the civilization: fine arts, (painting, sculpture, architecture, musics), literature, philosophy, governance, laws, science and technology, transition from the nomadic life to sedentary life, religion, language and various social values. These intangible elements are generally called as culture. Within this context and in the light of the foregoing details, it can be said that the view prevailing in some circles to link the idea of civilization to the religion is not supported. At present, the religion is considered by the social scientists as one of the ingredients of the civilization (or culture). As a matter of fact, there exists the concept of Christian Civilization, Islamic Civilization, Budhist Civilization, Hindu Civilization, Orthodox Culture and Civilization and Judeo-Christian Civilization. On the other hand it is customary to say German Civilization, French Civilization, American Civilization, Russian Civilizatiıon, Chinese Civilization, Arab Civilization, Persian Civilization, Turkish Civilization and Culture, Greek Civilization, Hellenic Civilization and Culture etc. Nevertheless, in certain periods of history religion and civilization are considered synonymously. As far as the religion in the sense of civilization is concerned, in the history, civilization incorporated various populations of different ethnic origins which adopted not only shared beliefs, practices and characteristics, but also social, economic and political organization of the society and cultural values as well. This was the case of Islamic civilization. As a matter of fact, Abbasid Caliphate or Empire, which reigned from 750 to 1258 combined the whole Moslem World for five centuries. Abbasid Empire extended from the Atlantic coast of North Africa into the Chinese border including almost the totality of Moslem lands. For that reason, it was traditional in the West to call everything related to this entity as Islamic: Islamic culture, civilization, science, history etc. Nevertheless, it was not a monolithic entitiy. Some of the Islamic countries have different historical experiences, cultures and state-building capabilites. According to Huntington Islamic civilization has also different sub-civilizations such as Arab, Malay, Persian and Turkish civilizations. As referred to above, Huntington alleged that after the end of the Soviet Union future wars will be between civilizations. He also mentioned some cases or issues as examples. Nevertheless, his views led to a large debate all around the World. A host of critics were directed against his views in consideration of the fact that major wars in the history were not between civilizations such as First World War and Second World War. It is also indicated that root causes of wars could be explained with various reasons rather than clash of civilizations. In the history there were wars on the grounds of religious differences even inside a given religion such as War of Religions in Christian Europe from 1524 to 1648 following the onset of the Protestant Reformation. Huntington was also accused of a deliberate effort to create a new enemy for the West to replace communism after the distintegration of the Soviet Union. This new enemy was Islam. In the history, however, there were resentments even clashes based on religion between Christian Europe and Islamic World. Crusades consist of reminiscences of divergences and clashes based on religion. I will come back to that issue at a later stage. In the 1402 Ankara battle between Tamerlane and Ottoman Sultan Bayezid-I, both rulers of Turkish descent and Moslems, there was a 10-thousand strong Serbian auxiliary squad under the command of Serbian Prince (and later Despot) Stefan Lazarević. Lazarević was fighting together with Ottoman Sultan Bayezid against Tamerlane’s forces until the last moment. He was the son of the Serbian Ruler Lazarević killed in the 1389 Kosovo battle against the Ottomans. Prince Lazarević, an Ottoman vassal was also commander of Serbian auxiliary forces in the Ottoman army at the 1396 Nicopolis Battle against allied Crusaders army of Hungarians, Bulgarians, Croatians, Wallachians, Burgundians, French and Germans. The expansion of Islam, defeat of Arab forces in 732 at Poitiers (France) by Frankish ruler Charles Martel, Crusades and Christian attacks against Islamic Middle East, the rule of Abbasid Empire as a dominant Islamic power until 1258, La Reconquista and the fall of the last Islamic state Granada in Iberian Peninsula (Spain) in 1492, the rise of the Ottoman Empire, Ottoman expansion in Europe, the Fall of Constantinople (Byzantium) in 1453, the sieges of Vienna (1529 and 1683), the rise of the West (after geographical discoveries, Renaissance, Reformation, Enlightenment, Industrial Revolution), decadence of the Islamic World as a result of decline in science and technology), Western colonialism and imperialism (Western and Russian imperialism), humiliation of Moslem lands under colonial rule, Palestinian question, Cyprus issue, Nagorno-Karabagh problem, Bosnia, Chechenia, Kosovo, the rise of the so-called Islamic terrorism. It could also be added to this list Armenian efforts to ensure the recognition of the so-called genocide allegedly occurred in the Ottoman Empire during the First World War by parliaments of Christian countries. After the thesis of Huntington on clash of civilizations, there was a strong reaction against his views. As a matter of fact, efforts were spent in international forums in particular at the United Nations with the aim of promoting the idea of dialogue among civilizations or cultures and dialogue among religions. In international organizations the idea of dialogue was taken into consideration as early as 1980’s to contribute to peace and stability in the world. In various activities of UNESCO the idea of dialogue was emphasized. On the other hand in 2001 UNESCO adopted a Universal Declaration on Cultural Diversity and in its Medium-Term Srategy of 2002-2007, agreed that one of its objectives is aimed at protecting cultural diversity and promoting dialogue among cultures and civilizations. UNESCO also indicated in its Medium-Term Strategy Report that the protection of cultural diversity and the promotion of dialogue should be conducted hand in hand. Again the UN General Assembly adopted in 1999 and 2000 two Resolutions on United Nations’ Year of the Dialogue among Civilizations By virtue of these resolutions, a Personal Representative of the UN Secretary General was appointed in charge of the UN Year of the Dialogue among Civilizations. Members of the Islamic Cooperation Organization have played a leading role in the adoption of these resolutions. UN General Assembly adopted on 21 November 2001 a ‘’ Global Agenda for Dialogue among Civilizations’’. The resolution contained a host of measures to promote dialogue and adopted an Action Plan. Within this context, UNESCO was entrusted by the General Assembly a key role to promote dialogue among cultures and civilizations. At this juncture, I believe, we should go back to history. As we will remember at the end of the First World War and years later after the Turkish War of Independence, Turkey and Greece were able to create, bertween them, a climate of mutual confidence, peace and friendship. Mustafa Kemal Atatürk who led the Turkish independent War declared that the basic tenet of Turkey’s foreign policy was ‘’Peace at Home, Peace in the World’’. Indeed a climate of mutual dialogue was created between the two countries, by leaving aside memories of the tragic events of the past. Prime Minister of Greece Mr Eleftherios Venizelos who was indeed behind the idea of landing Greek armed forces of occupation in the Turkish mainland, paid an official visit to Turkey in 1929 after he became again the Prime Minister of Greece. Mr Venizelos also nominated Atatürk for the Nobel Peace Prize in 1934. Thus, it seems that the idea of dialogue is not new in international relations. Dialogue is possible. On the other hand, as far as the dialogue among religions is concerned, it goes back to 1964. As a matter of fact, the Vatican established that year ‘’the Pontifical Council for Interreligious Dialogue’’ aimed at a better understanding, tolerance and respect for other religions. At this point a great difficulty should be underlined that there is no single authority representing Islam as a whole in order to become the right interlocutor of the Vatican. In addition to the United Nations several other international or regional organizations and some countries have also been involved in various events to promote the dialogue among civilizations. The European Union, the Council of Europe, the Organization of Security and Cooperation in Europe (OSCE), Islamic Cooperaion Organization (OIC) have also been actively involved in various events related to the dialogue among civilizations. Iran, Algeria and some Western European countries as well as some other regional organizations also supported the idea of dialogue and organized various events. Personal efforts and intellectual contributions of the former President of the Islamic Republic of Iran Seyed Mohammad Khatami should be appreciated. 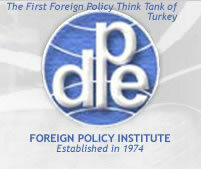 Turkey also has been very active to promote the dialoge among civilization, cultures and religions. As a matter of fact, Turkey has a very particiular and unique position in this respect being a country with a majority of Moslem population and on the other hand a member of European institutions. She experienced a long process of modernization through Ottoman enlightenment and Turkey’s republican reforms by adopting Western values in political, social and economic lives. In 2001 in the aftermath of the terrorist attacks of 11 September Turkey organized in Istanbul, at the level of Foreign Ministers, ‘’Joint Forum between the Islamic Conference Organization and the European Union’’ which produced Istanbul Declaration adopting several actions for dialogue, peace, stability and understanding. The Follow-up meeting of the Joint Forum, however, could not be realized in 2004 due to the Greek and Greek Cypriot opposition regarding the participation of the Turkish Cypriot delegation. In 2004 Spanish Prime Minister José Luis Rodrìguez Zapatero and his Turkish counterpart Recep Tayyip Erdoğan co-sponsored the initiative of ‘’the Alliance of Civilizations’’ within the context of the United Nations. The Alliance of Civilizations is very much active carrying out various projects with the participation of the UN member states. All these efforts are very much sincere and they are aimed at contributing to the peace, stability, tolerance and understanding in the World. In spite of this state of affairs we should admit that there are several impediments for a successful and result-oriented process of dialogue. Let us now look at existing obstacles or road blocks on the way of a dialogue among cultures and civilizations. In the light of all past events referred to it is possible to understand the fact that a significant part of today’s problems is linked to the events of the past. -Problems linked to the fact of globalization emerged particularly as a result of computer technology; despite the fact that globalization is an inevitable process, there is a necessity to focus on the benefits and positive aspects of this phenomenon which also requies pluralism and cultural diversity. Adverse social effects of the globalization have been criticized by various social scientists and philosphers. For this reason social dimension of globalization merits a significant attention. It is also observed that among civilizations there are mutual lack of confidence and divergence of views as well. For example, there is no agreement between the West and the Moslem World on democracy and human rights’ concepts that are developed and reached their supreme norms today in the West. In view of all these there is a necessity to see the picture as a whole for a successful dialogue and mutual understanding. As far as existing obstacles on the way of dialogue are concerned various examples could be cited. Evidently, some conflicts presently give the impression that Huntington is right or he can be justified in his view for future conflicts to be clash of civilizations between different cultures. When we refer to the Middle East conflict and the Palestinian question, the Cyprus issue, the Nagorno-Karabagh issue and illegal occupation of 20% of the national territory of Azerbaijan by Armenia and even the Kashmir problem, these specific issues have, in appearance, an inherent characteristic of a clash between civilizations. Indeed, these are frozen conflicts since there exists unconditional support by the West to one of the parties belonging to their so-called civilization, whether or not they are right. For the simple reason that, according to their view, they belong to the Christian World or Western and Judeo-Christian civilization. The other party involved in the conflict belongs to Moslem World. Logical conclusion of such an attitude is that the conflict should be resolved in conformity with the views and interests of the side which belongs to the Western, Judeo-Christian civilization. Obviously, we can say that as a result of such an approach, these problems will continue to become frozen, thus constituting serious threats for the regional and international peace and stability, since justice, equality and equity are not taken into account. Nevertheless, despite their appearances, it is not easy to say that these conflicts are betwen civilizations. As a matter of fact, Turkish Cypriots for example are not supported in their struggle by all Moslem countries. The same thing could also be said for the conflict beween Azerbaijan and Armenia. The solution of these frozen conflicts will contribute to a better understanding and dialogue among peoples as well as Global peace and security. Some statements by the former Pope Benedict XVI humiliating Islam, publication of cartoons in Danish and some other Western newspapers depicting Muhammad, the Prophet of Islam as terrorist as well as films denigrating Moslems caused strong reactions in the Moslem World. No strict measures are taken by the Western governments against perpetrators on the pretext of freedom of expression. Reactions of Moslem extremists and their terorist acts have been qualified as Islamic terrorism. Obviously, Moslem world has not a monolithic structure. Such a characterization is, undoubtedly, based on existing prejudices in the West against Islam and Moslem countries. This state of affairs may strengthen Islamophobia and racism as well. In fact, prejudices and intolerance are root causes of xenophobia and racism which constitue a real hurdle on the way of a healthy dialogue among civilizations. To identify Islam and terrorism is not related only to prejudices, but also to the lack of information. The West should recognize the difference between the Islam as religion based on peace on the one hand and fanaticism or extremism on the other. Obviously, dialogue would pave the way for a better mutual understanding among the peoples. There are some other sensitive factors for a better understanding between Moslem countries and developed democratic countries of the West. I should remind that when democracy and human rights are put on the agenda by Western countries, there is always a strong reaction by most of the developing world or Moslem countries. They consider the efforts of the West as an initiative to destabilize their countries. Certainly, the concept of human rights can not be used for political and economic interests in order to harm or divide countries on the basis of ethnic particularities. Obviously, the lack of trust originates from the bad experiences of the colonlal past as well as some double standards such as strategic alliance relationship of some western countries with non-democratic states due their energy needs. A just World order is an undisputable ideal. Nevertheless, in the face of the present economic and social order prevailing in the World, the idea of dialogue alone proposed by international organizations is not sufficient. Developed countries have to spend efforts in order to find solutions to actual Global problems referred to above. Otherwise threats arising from under-development and poverty will be directed against them. On the other hand there are serious problems and injustices in international trade. The developed countries exert pressures on developing nations for the elimination of obstacles on the way of the free international trade, also suggesting privatization and liberalization. Nevertheless developed nations themselves they do not respect all these suggestions with a tendency to protect their own advantages. In this context another important issue to be underlined is the fact that the quality education is necessary for the elimination of fanaticism. In this area UNESCO has a particular role to play. As we said, there is no single type of Islam. Although Moslem World did not have, unlike the West, the experiences of Renaissance, Reformation, enlightenment, French and American revolutions as well as industrial revolution, many Moslem philosophers sincerely believe that Islam is compatible with democracy and human rights. A secular society is a must for a well functioning democracy based on human rights and the rule of law. It is widely admitted that the great Moslem philosopher Averroes (Ibn Rushd) has greatly influenced through his secular ideas the enlightenment in Europe. In the final analysis, it can be said that the dialogue is always useful. Nevertheless we should keep in mind existing political, economic and cultural difficulties and obstacles. The humanity, however, has the maturity to solve all outstanding problems. Ambassador Hazar served as Turkey’s Permanent Representative to Council of Europe and UNESCO. Samuel P.Huntington,The Clash of Civilizations, Foreign Affairs, New York, Volume 7,No.3, 1993. Samuel P.Huntington,The Clash of Civilizations and the Remaking of World Order,Simon&Schuster UK Limited,London,1996,p.28. Bernard Lewis, The Middle East in World Affairs, From Babel to Dragomans Interpreting the Middle East, Phoenix,London 2004,pp.287-296. Bernard Lewis, The Middle East and the West, Indiana University Press,Bloomington 1994, p.135. Arnold J.Toynbee, The Western Question in Greece and Turkey, A Study in the Contact of Civilisations, Constable and Company Ltd., London-Bombay-Sydney,1922, pp. 107-148. In his work which is entitled as ‘’Primitive Culture’’ Tylor provides this definition on the First Page (See Encyclopedia Britannica). Eric Hobsbawm, Globalisation, Democracy and Terrorism,Abacus, London, 2011, pp. 10-11. Almond, Ian, Two Faiths, One Banner: When Moslems Marched with Christians across Europe’s Battlegrounds, I.B.Tauris&Co.Ltd.London,2009. United Nations General Assembly Resolution 53/22, 4 November 1998. United Nations General Assembly Resolution 54/113, United Nations Year of the Dialogue among Civilizations, 10 December 1999 and Resolution 55/23 United Nations Year of the Dialogue among Civilizations, 13 November 2000. UN Security Council Resolution 1368 (2001) 12 September 2001 and 1373(2001) , 28 September 2001. UN General Assembly Resolution 56/6,Global Agenda for Dialogue among Civilizations,21 November 2001.